T-Shirt shop is a very popular e-commerce sphere nowadays. It is easy for customers to find or create a product they are looking for. And it is simple to produce and sell T-Shirts for business owners. Yet, in order to be successful, you need a good website. Your website must provide customers with comfortable shopping, intuitive navigation, and attractive design. In order to help you find such website, we present you a Best Look Shopify Template. It has a bright design that includes many visuals and visual effects. You can also use a blog and social options. Due to the Shopify e-commerce plugin pack, you can use a wishlist button, currency options, and cart to provide customers with comfortable shopping. Just check the demo and you will definitely like this Shopify Template. Responsive website design allows you to enrich buyer experience and give a entire access to the internet site information from any gadget. Bootstrap is a extremely well-known framework, that makes the work with HTML, CSS as well as JS far easier. It was produced as the tool to set up a responsive design, nevertheless over time it introduced lots of extra efficiency. Bootstrap allows to produce responsive, mobile-first projects in a suprisingly simple way. Retina ready design relates to a high-resolution screen, where pixel density is so high, so the person's eye can't see particular pixels. In addition to the resolution and attractiveness of the image, this screen has the best viewing angle. And also at the same time - no regulations on the screen speed. Will TemplateMonster help me to install my Shopify theme for Childrens Fashion? Some of our products like osCommerce templates, Zen Cart templates, etc. require installation to operate. Installation services are not included in the package price. TemplateMonster though offers you a variety of sources to help you with installation of your Shopify theme for Childrens Fashion including installation instructions, some articles with our Online Help Center. Our Knowledgebase contains customers questions and most frequent problems. Anyway, you can always refer to our partners from TemplateTuning.com to install your Shopify theme for Childrens Fashion for you for a small fee. Is it reasonable to make unique purchase of Shopify design for Boys Fashion that was already purchased before? Yes, it's reasonable to make a unique purchase of Shopify design for Boys Fashion. Because there is very small chance that you will find the same design on the net. There are more than 3,000,000,000 webpages online now according to statistics on www.google.com. Can I use graphics from Shopify design for Fashion Journalist I purchased for use in printing? 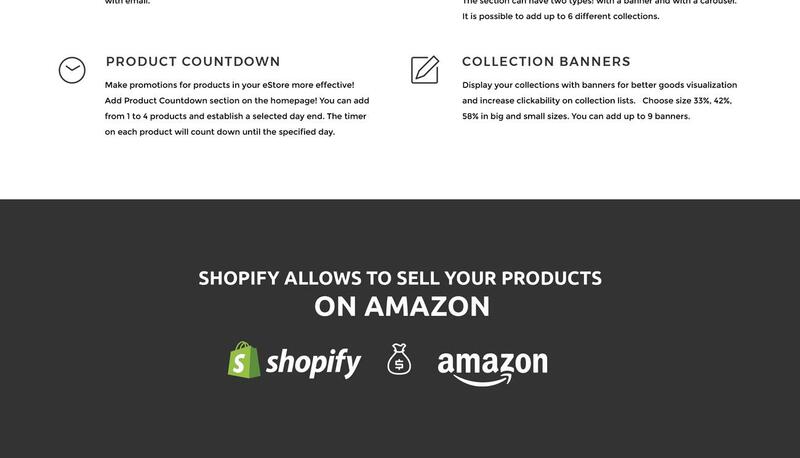 Yes, it's not prohibited to use the Shopify design for Fashion Journalist graphics for printed material, but the resolution of the templates graphics ( except for logo templates) is not enough for printing. Can I resell the customized Shopify theme for Women T-Shirts Retailer? No, you cannot resell the customized Shopify theme for Women T-Shirts Retailer as a template but you may sell it as a project to your client (see paragraph 1 ONE TIME USAGE LICENSE for more details). What do I receive when I order a Shopify design for Fashion Shop from TemplateMonster.com? After you complete the payment via our secure form you will receive the instructions for downloading the Shopify design for Fashion Shop. The source files in the download package can vary based on the type of the product you have purchased.If you need unzipping software to open the .zip archive, Windows users may visit www.WinZip.com, Mac users may visit www.StuffIt.com. Can I get the extended license for some other pricing than the half of the initial Shopify theme for Childrens Fashion price? No. The price for purchasing license for a single Shopify theme for Childrens Fashion is the half of the template unique price. In what cases I don't need the extended license for Shopify ecommerce templates for Beauty? Is it possible to buy the particular image from the Shopify template for High Fashion? No. According to our Terms and Conditions we never sell the images separately from Shopify themes for Fashion Consultant (as well as the templates separately from the images). Can I put a line at the bottom (or any other spot) of my new product "Website development by Company name" after purchasing Shopify design for Boys Fashion? Yes, you can place a note at the bottom (or any other spot) of my product "Website development by Company name". Nevertheless, you cannot place "Website design by Company name" while using one of Shopify design for Boys Fashion. Is there any return policy for Shopify templates for Men Fashion? Requests for a refund are accepted at www.template-help.com/tickets within the period of 2 weeks after the order of Shopify design for T-Shirt Shop is placed. You should accompany this request with detailed and grounded reasons why you apply for a refund. Please make sure your request does not contradict the terms and conditions specified in the policy. A refund is issued to you upon receipt of a Waiver of Copyright signed by you. Is it possible to use your Fashion & Beauty Magazine Shopify designs to develop websites for my customers? Yes. It is perfect for designers who want to offer their customers a high-quality design and also save time and money. Keep in mind that when you purchase the Shopify ecommerce theme for Urban Fashion with ordinary or exclusive license you're entitled to create only one project (one domain name). Will the Online T-Shirt Shop Shopify design theme be deleted from TemplateMonster database? No, the Online T-Shirt Shop Shopify design theme will not be deleted from TemplateMonster database. What will I see instead of the images after installation of the Fashion Shopify design theme? After Fashion Shopify design theme installation you will see blurred images included for demo purposes only. 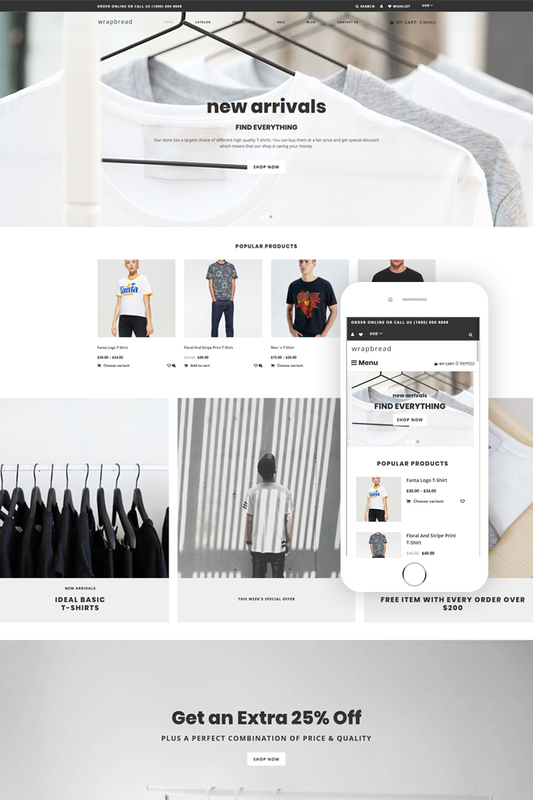 Are your Shopify ecommerce templates for Fashion Stylistcompatible with any CMS? Can I put a line at the bottom ( or any other spot) of the customized Shopify theme for Fashion Show "Website design by Company name"? No, you cannot place a line at the bottom ( or any other spot) of the customized Shopify theme for Fashion Show saying "Website design by Company name". Nevertheless, you can place "Customized by Company name". Can I get the Shopify ecommerce theme for Urban Fashion in higher resolution to use for printing? No, we design Shopify ecommerce templates for Womens Fashion optimized for web resolution only. Are there any limitations on selling the Shopify theme for Guy T-Shirts Store as the integral part of my new product? What is Extended License for Fashion & Beauty News Shopify ecommerce theme? What is Developers License for Fashion Consultant Shopify ecommerce theme? If you purchase a Developer's license, you are granted a non-exclusive permission to use the Fashion Consultant Shopify ecommerce theme on up to 5 domains for projects belonging to either you or your client. Will you help me to customize my Shopify theme for Fashion Trends ? We do not provide any help or instructions on Shopify theme for Fashion Trends customization except for www.template-help.com help center. If you are not sure you can customize the template yourself we recommend to hire a design studio to customize the template for you. Make sure that these charges for Fashion & Beauty Store Shopify ecommerce template have different order IDs. If it is so, contact our billing department. I would like to purchase Shopify theme for Fashion Articles , but it is not available on the site anymore. The Shopify theme for Fashion Articles has been sold out for exclusive price or discontinued.As technology inevitably develops, TemplateMonster may discontinue the production of certain products. It can be no longer available for sale because of being outdated.